Still pinching myself about being allowed to act in a Katie Hims play last week. 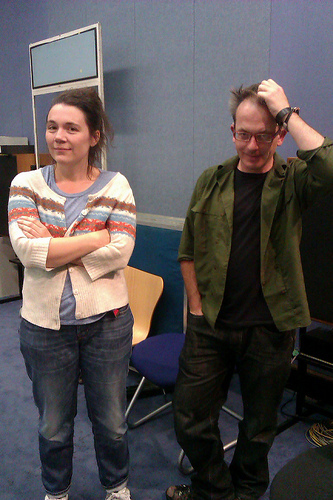 I’ve been a massive fan of Katie’s virtuoso radio scripts since meeting her on a course last year. 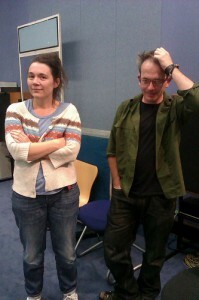 The play is called Dragonfly and airs on 3rd October 2.15pm on Radio 4 (directed by the lovely Sue Roberts). The recording was hugely enjoyable and engrossing and the script was dead funny and moving. It was the first time I’ve worked with David Bower, a very talented actor. We recorded at old BBC drama studios in Manchester, just before the transfer to the new Salford site. 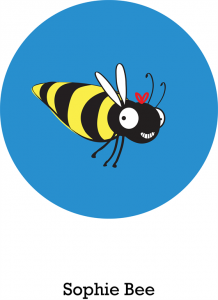 Tin Bath Theatre (the company I setup with director Gemma Fairlie) has been awarded an Unlimited commission to create a children’s show called Bee Detective. Here’s the press release. I’ll be writing and performing. I’ve just completed a screenwriting course at Channel 4, during which I wrote a pilot episode and series outline. It was a lot of fun to write, and I was often laughing as I typed. I’m indebted to all the good people who helped me with research. Last weekend actors read the script at Channel 4 HQ. I sat on the edge of my seat, watching and waiting for all the lines to land in the way I’d anticipated. The actors read it beautifully and I was relieved to see everyone laughing (it’s a comedy drama). Feedback is very promising. The script is now going out to production companies. Channel 4’s brilliant Cast Offs series airs on SBS in Australia from 30 May! Here’s a review from the excellent Rophy site. Recent photo of me standing up. Thanks to everyone who backed the Deaf Faker Indiegogo appeal, which reached the target in record time! Episode Four is available on YouTube with subtitles and we’ll be filming more later this summer. Check out an interview I did in DN magazine about my forthcoming pact with the devil, and some top tips I wrote for ArtsPro. You can catch me doing stand up at Soho Theatre on 3rd June 8pm. Your support (using PayPal) gives you entry into a raffle to win a huge pile of signed books by famous writers and comedians, some limited edition. Check out my Indiegogo page for full details. Posted on March 1, 2011 Categories UncategorizedLeave a comment on Amazing Investment Opportunity! Eli Clare on bill too. I will be doing stand up and character monologues. 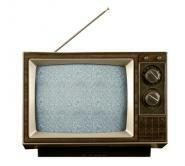 Latest news on Tin Bath Theatre Company’s work on developing creative captioning. Tin Bath is the company I set up with director Gemma Fairlie to create creatively led captioned shows. We’ve been awarded a prestigious Theatre Sandbox grant to experiment with new technology. See Hear will be filming our progress so far next week at mac in Birmingham.